And just like that, two years have passed. Jon and I lay in bed Friday night reminiscing about the events of two years ago. Remembering Lina’s birth is a complicated experience. Sometimes, I regret that memories of her arrival are mixed with clouds of grief and chaos. We – and I, in particular, as Jon pointed out – faced some very difficult times two years ago. 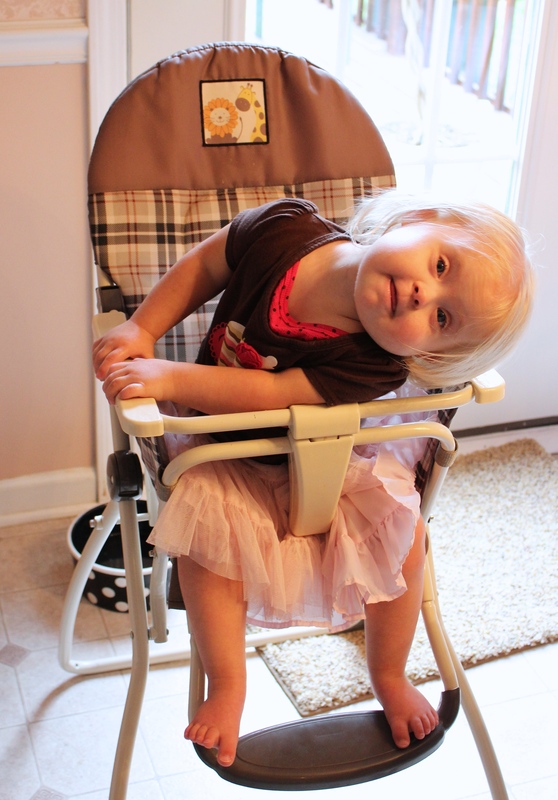 As we reminisced, I asked: “What if we had received a prenatal diagnosis instead of being blindsided at her birth? What if we had given birth in a hospital instead of at home?” But ultimately, I come back to the belief that events worked out for the best. We didn’t spend months worrying about potential health problems that never manifested. I was able to have a natural VBAC rather than a repeat C-section that would have required a longer hospitalization and recovery period. And even with the chaos, we spent those days falling in love with our baby girl and finding our way to bright hopes for a future that looked a bit different than we had expected. Today, as Lina teeters on the edge of walking and every day finds new words and ways to express herself, grief no longer plays a role. The pride and joy of parenthood is sharpened into something even keener, thrown into sharp relief by its contrast with those early fears and worries. 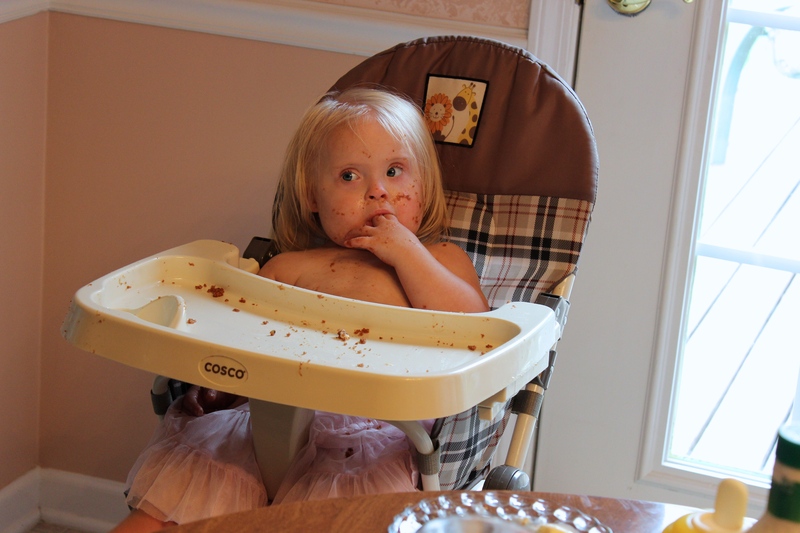 The story of Lina at two is not about Down syndrome; it’s about the awesome little person she is. It’s about how independent, curious, bright, funny and affectionate she is, how watching her smile and laugh makes the world sing. It’s about her arms around my neck and her sweet babbling voice. It’s about hauling her away from the dog bowls and toilet bowls and picking up the paper she shredded and spread around the living room floor. It’s about watching her grow and knowing how well she is doing. That’s not to say there aren’t unique challenges. We still spend a lot of time driving back and forth to therapy visits. I struggle to be patient with her sensory-related habits of hair pulling and throwing items across the room. Sometimes there is a stab when I see her interact with other kids her age and come face-to-face with her delays. I used to wonder how to find the right balance between pragmatism and optimism. Did I need to prepare myself for potential pain and disappointment? The answer for me is a resounding, “No.” I have come to believe that our unbounded optimism about her future will be the single most important factor in her success. There will be challenges, no doubt, but we will deal with those as they come. We focus on today, doing our best to equip her for success, celebrating every milestone with everything we have, believing her possibilities are endless. I will post later about where she is with specific developmental milestones. For now, I just want to say how incredibly lucky we feel to be dazzled every day by our sweet Eline Katherine. Happy birthday, beautiful girl. 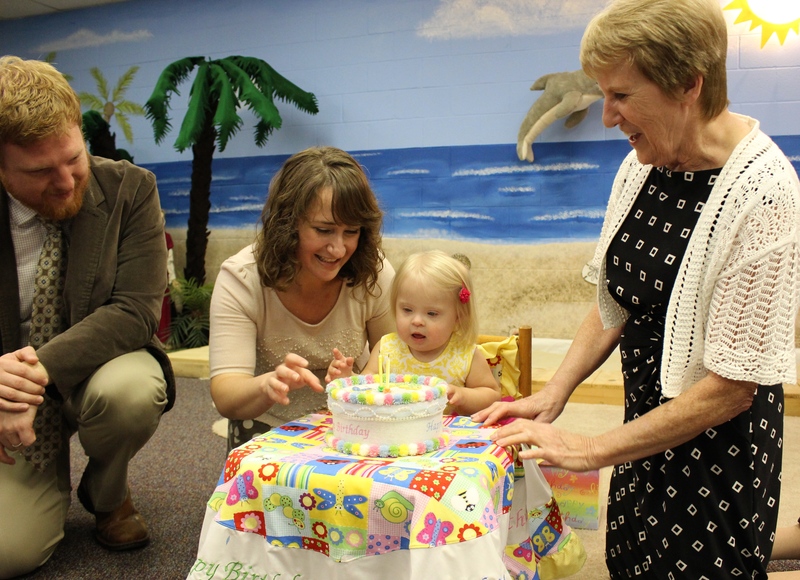 This entry was posted in Birthdays and tagged birthday, down syndrome, milestones, second birthday. What a precious little girl you have. May God bless your lovely family. I have enjoyed reading about the two year growing up experience of little Lina. 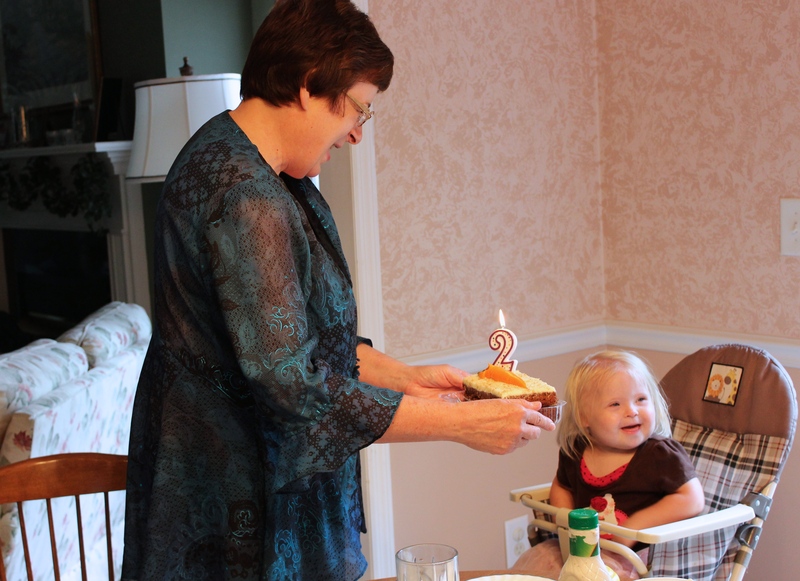 I know God has a plan for her life because he gave her the very best parents and grandparents she could have. May God continue to bless your family. We appreciate all your thoughts on “Änd Just Like That, Two Years Have Passed”. Looking forward to reading more about future developments in her life.